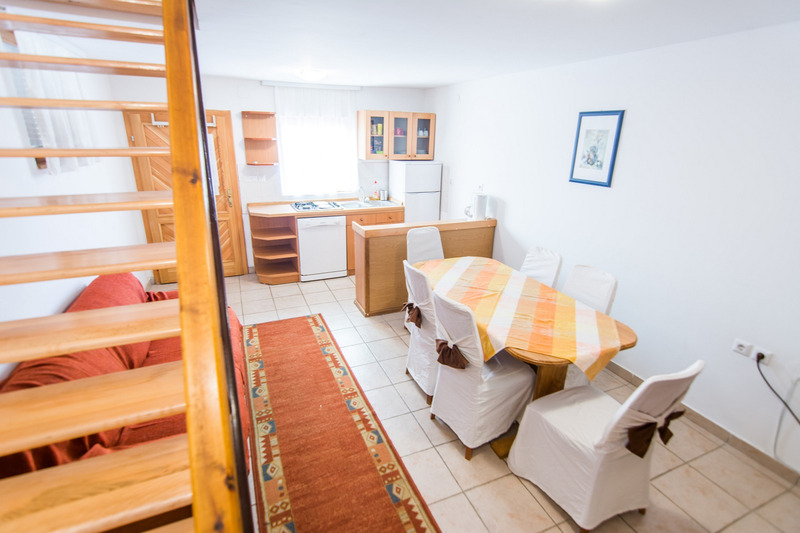 Luxuriously arranged holiday house Vesna is in the quiet area of Biograd, just a short walk away from the pebble beach Drazice and the town center. The beach Drazice is in a pine forest, with lots of shade, which is very good if you are traveling with children. 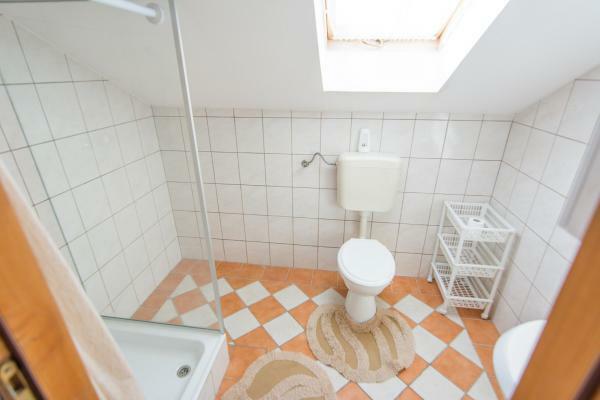 Take pleasure in this spacious self standing holiday apartment on two floors. On the first floor are bathroom with shower and two bedrooms, one with a queen bed, one with two single beds and additional bed for the fifth person in the gallery. 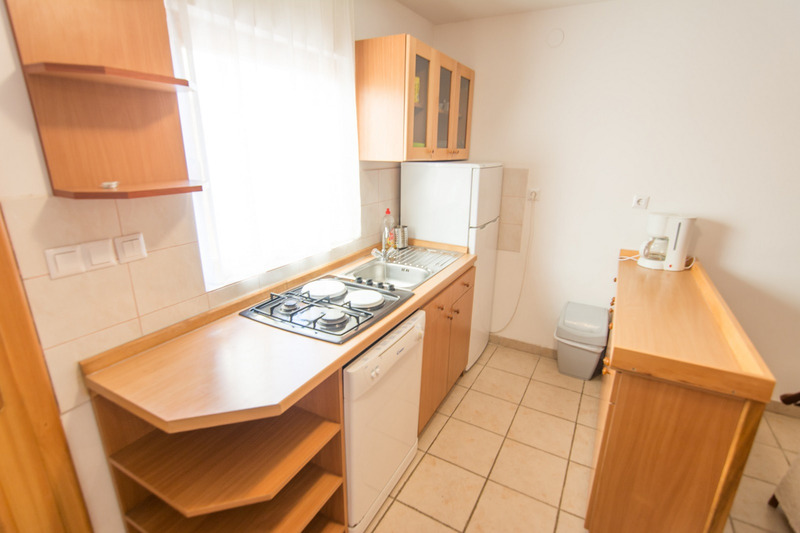 On the base floor is a kitchen with cutlery and crockery, refrigerator with freezer compartment, cooking stove and with a living room and a private terrace. 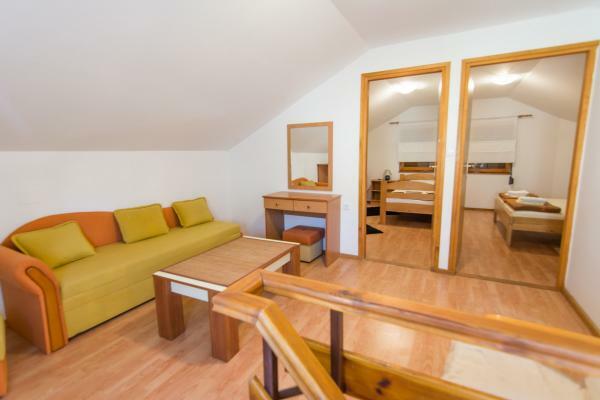 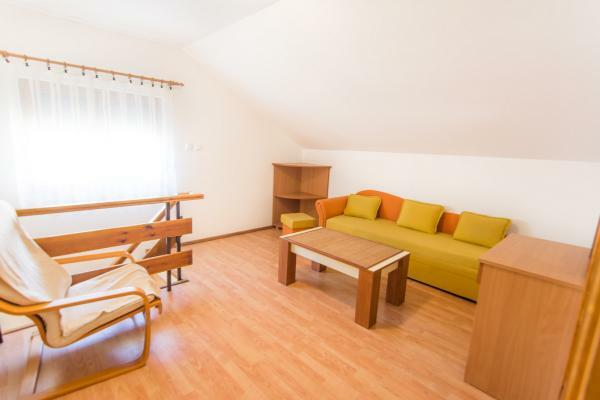 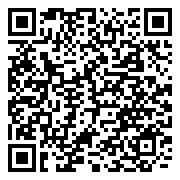 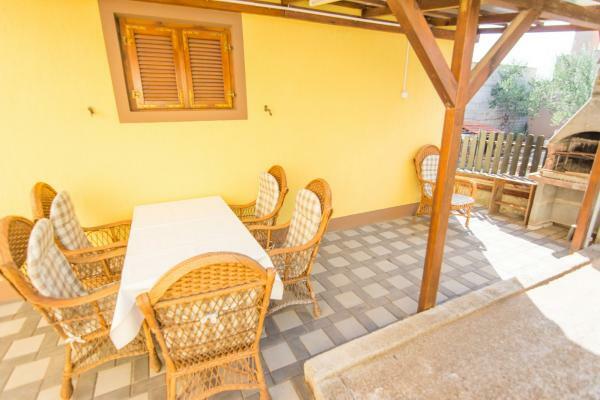 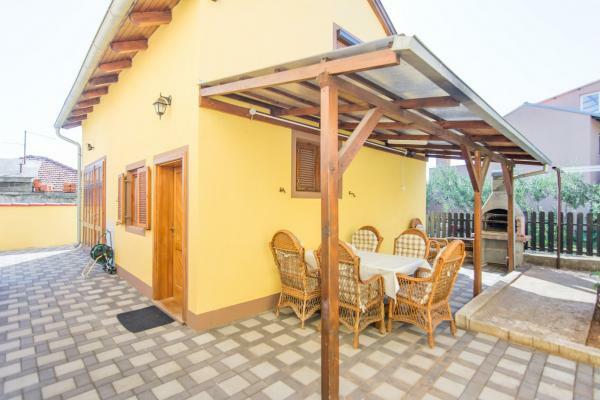 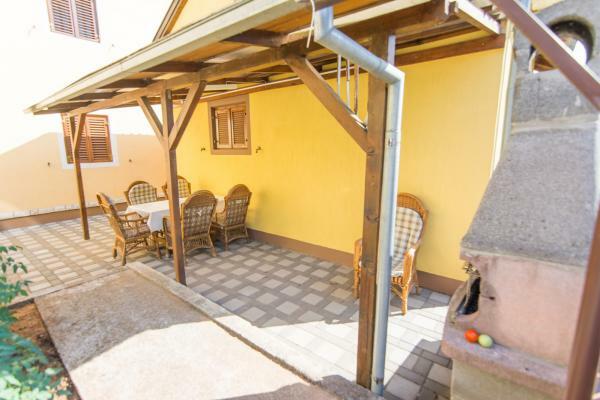 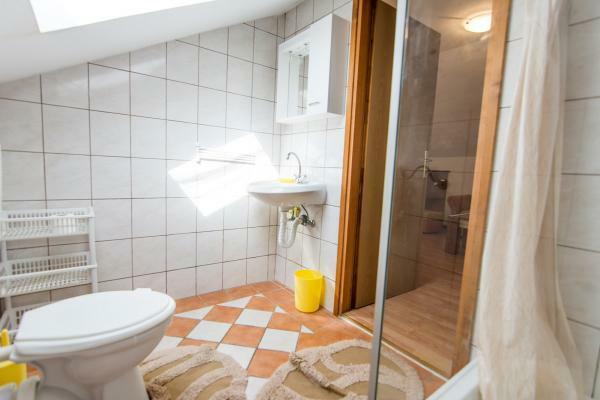 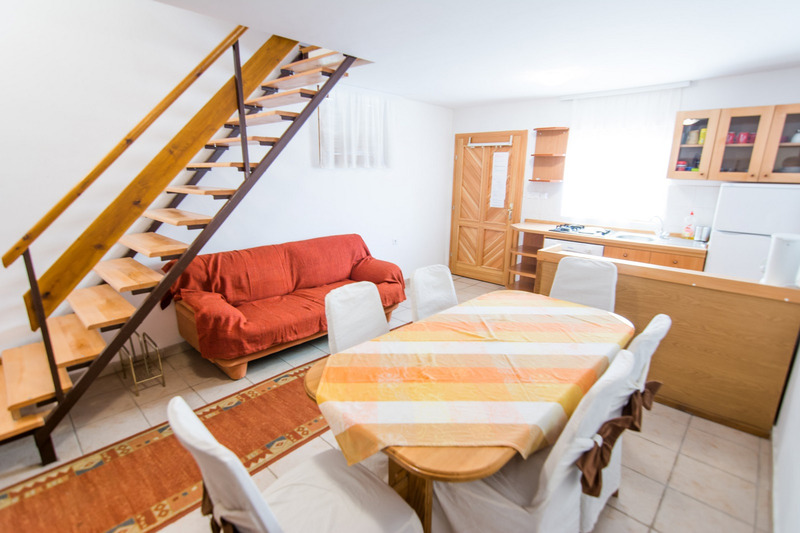 This holiday apartment has also free WLAN (WiFi) internet connection, air-condition (optional: air-conditioning costs are additional 5,00 EUR daily), at your service there is also SAT- TV in the living room, as well as the dishwasher in the kitchen and the outdoor barbecue. 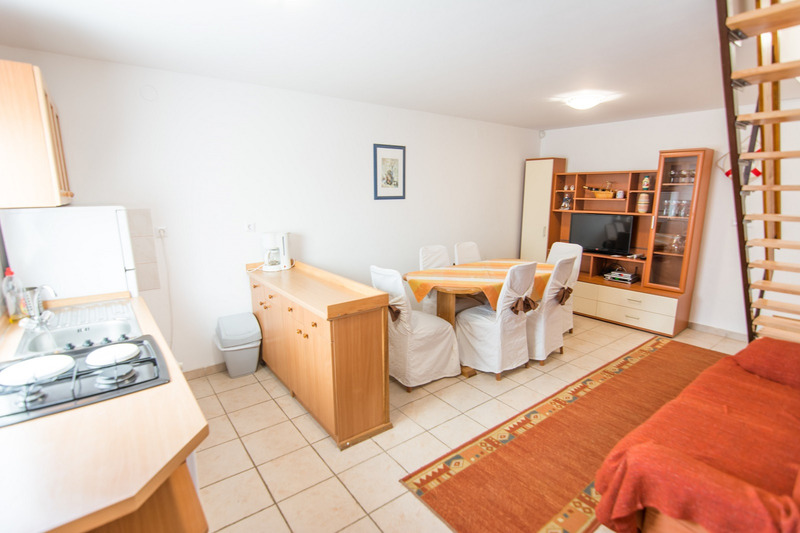 Three more apartments to rent belong to the same property - two of them for four persons each, the one with a sea view is presented here, while the other, with garden view, is presented here, and the third, holiday apartment Vesna 1, for up to six persons, with three bedrooms and two bathrooms, is presented here.